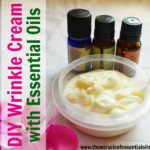 There are many remedies that can help you get rid of these wrinkles and fine lines, but using essential oils to treat crow’s feet is undoubtedly the best method to treat the problem naturally. Everyone develops wrinkles around their eyes, but in some cases, people get these visible signs of aging a little too early. These wrinkles and lines that you get around your eyes are known as crow’s feet. They are small facial lines that look like feet imprints of a many-clawed crow. There are many reasons that cause crow’s feet. But the main factor that causes the crow’s feet includes the repetitive muscle movements for every change of your facial expression. These lines are also known as laugh lines or expression lines as the wrinkles appear around your eyes every time you smile or laugh. Sandalwood oil is known for its soothing and calming properties and comes loaded with anti-inflammatory properties. Using sandalwood oil on the skin can reduce the appearance of scars and can also treat the redness in the skin. This oil also promotes the growth of new skin cells and regenerates the old ones in order to make your skin brighter, healthier and glowing. 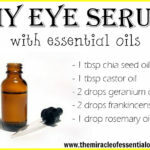 Using this oil on a regular basis can lighten the appearance of wrinkles and fine lines on the skin. Rich in antioxidant and Vitamin C content, lemon essential oil is the perfect essential oil to treat crow’s feet. It offers numerous health benefits and works really well in boosting your immune system. 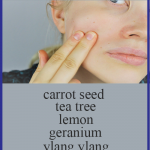 Due to its potent properties, it is also widely used in almost all skin care products as well as anti-aging serums. 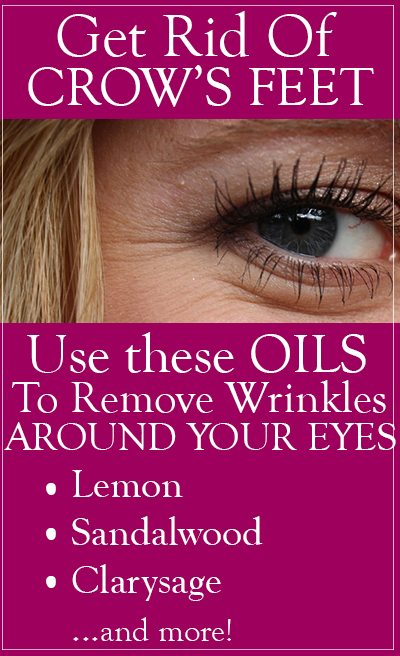 This essential oil is really effective in treating the signs of aging and wrinkles. This oil is obtained from the kernels of the Argan trees that grow in the southwestern coast of Morocco. It is another great essential oil for treating aging signs as it comes packed with high vitamin E content and essential fatty acids like omega-3, 6 and 9, which helps you get healthy and younger looking skin. Technically speaking, argan oil is not an essential oil, so you can use it directly on your skin without diluting. 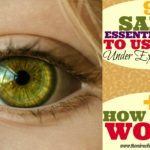 It’s one of the best oils for crow’s feet so I just could not resist adding it to this list! It is one such oil that comes with restorative properties. It reduces the appearance of wrinkles and replenishes your skin beautifully. If combined with neem oil or rose oil, it works wonder to your skin and makes it look flawless and scars free naturally. It also smoothens, tightens the skin, and enhances your skin tone and improves skin elasticity. Pomegranate oil contains a high amount of minerals and vitamins like E, K, D and A as well as antioxidant content, which makes this essential oil highly beneficial in treating Crow’s feet. 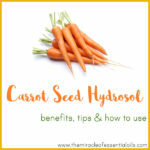 It boosts the healing of skin and prevents the appearance of wrinkles and blemishes. Be it skin remedies or commercial skincare products, this essential oil is one such oil that you must include to your daily skincare routine. It perfectly moisturizes your skin and works effectively in regenerating the new skin cells, which makes it the best essential oil to treat crow’s feet. Grapeseed oil is another widely used oil to treat acne and blemishes. Using this oil helps in balancing the natural oil in the skin and help you treat the wrinkles, fine lines as well as dark spots that appear under the eyes. Rosehip oil is miraculous oil for skin. It does not only improve the firmness in the skin but also improves the skin’s elasticity. As it contains retinol, which is an essential form of Vitamin A, it reduces all the signs of aging which includes wrinkles, age spots, dark circles, fine lines etc. 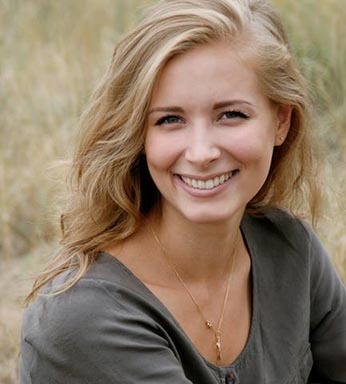 It also regenerates the old skin cells and promotes the growth of new cells in the skin. So if you want to get rid of crow’s feet naturally, then you can use any of the above-listed oils and essential oils to treat crow’s feet. 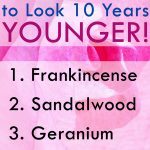 Regular usage of these essential oils will surely help you reduce the signs of aging. 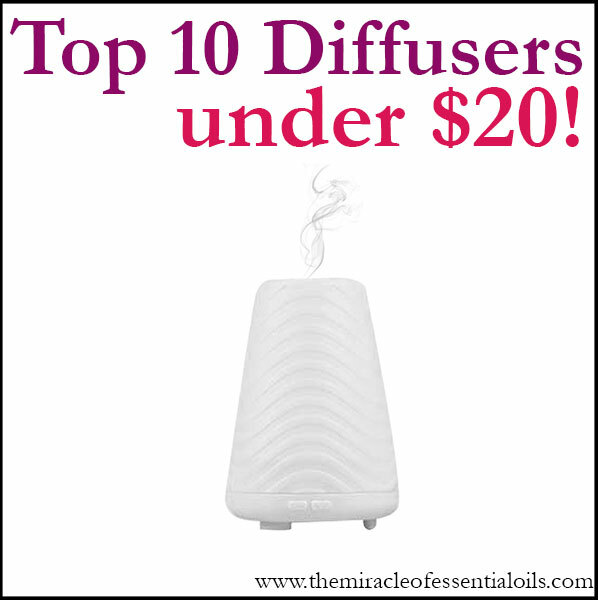 Also, make sure you dilute the essential oils with carrier oils before using.